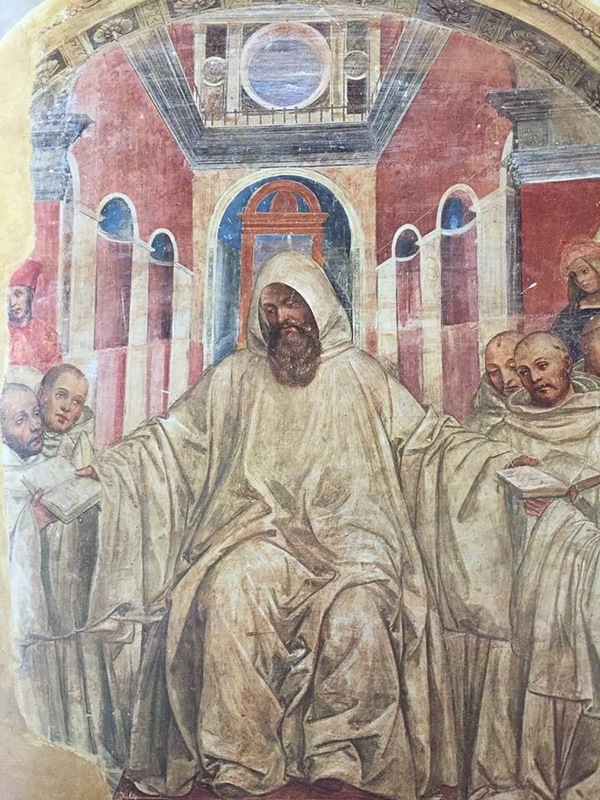 Monastic Communities as the “emerging” center for individual and communal spirituality. Monastic Communities as the “emerging” center for individual and communal spirituality……as the numbers bottom out. Yet again we are reminded that traditional participation in “churches” is on a road of constant decline. At the same time attendance and participation in Cathedral worship (Sung Evening Prayer-Vespers or Compline) is on the rise. What is happening? (There is a place for intelligent and informed religion), But Sermons and long wordy liturgies including the Eucharist since it is hierarchical and sometimes patriarchal are becoming more and more a challenge to modern and contemporary believers. On the other hand, Some form of the Monastic Daily office is egalitarian, brief (usually within 30 minutes) and many times inspiring even if it is said together in community and not sung by a choir. The New Benedictine Community for example is now praying the Monastic Office three times a week together under one form or the other (Compline and Vigils). It allows for participation across time zones (USA, Americas and Europe) and is attracting people on a global level. Why might this be so? We have found that many who seek us out as a community may or may not be very involved in their local Christian Community. But what attracts them to us is the “smaller” more “intimate” and “personal” connection that they find in an intentional religious community like ourselves. They also like the fact that the focus and basis of our life together is first and foremost spiritual and not social like so many existing churches today that are “heavy” on social interaction and outreach, all valid reasons for belonging to a religious community. But we gather to pray not to keep each other entertained or busy. I would like to say that our founders insistence on “going deeper” into the religious life is what is calling more and more people to seek out intentional monastic communities like our own. My discussion with other clergy in the church is that this is not going to disappear any time soon. There are over 8,000 people who pray at a given time the Daily Office on just one website alone. This IS a mega-church, and NOT. The meditation app I use daily for centering prayer has tens of thousands of people meditating daily and at the same time. We are many who WANT to go deeper. It is my belief that Intentional Monastic Communities will have a new role to play in the future of religious life in both the Americas and Europe. They will be small. They will be focused on the specific need of a specific group. They will reach across different religious borders. They will help people deal with the daily frustration and feeling of isolation, weakening institutional leadership both political and religious, and the imposing threats of environmental degeneration and personal security. We are all looking for anchors that will help is to find some real meaning and purpose in our lives. Intentional religious communities will be one piece in the ever changing puzzle of our Religious Selves.